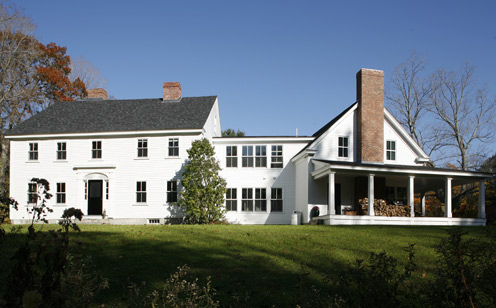 This is a renovation of a three hundred year old home in South Berwick. We added a two thousand square foot addition with a new kitchen, half bath, living room, master bedroom suite, and laundry room. Click here to see the progression of this renovation.